Download "Role Profile. Job No. (Office Use) A79"
Role Profile. Job No. (Office Use) A202a. Directorate Corporate Support Department Customer Services & Business Transformation. 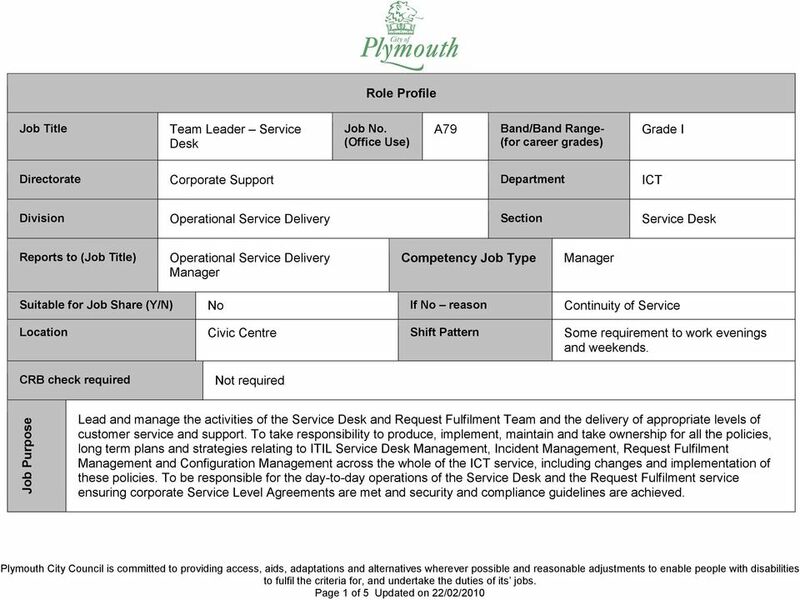 Role Profile. C248a. Grade H. Not required. Band/Band Range- (for career grades) Job Title Senior Asset Registrar Job No. 1. To be the principal point of contact and have responsibility for IT support incidents. Job Description. The applicant will require the ability to learn key processes and gain an understanding of IT systems and how to support them. 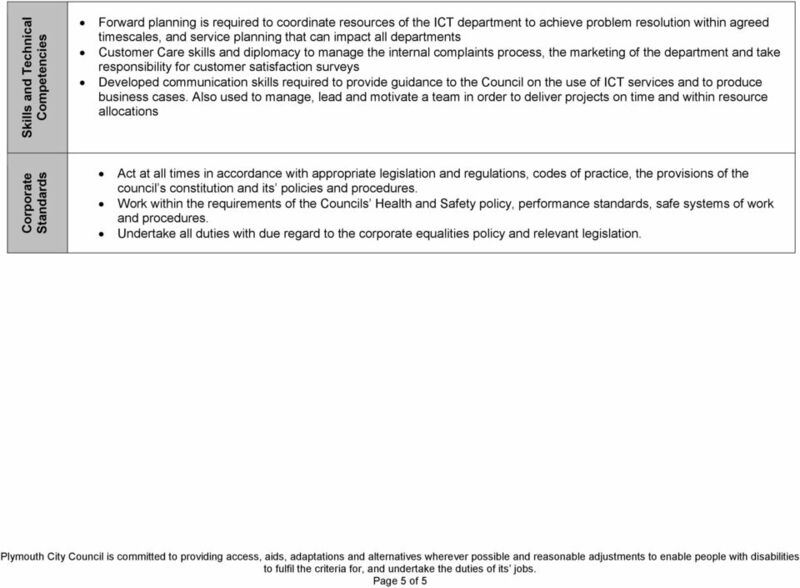 To have an overview of ICT Administration and Technical support in order to provide a consultancy service to schools. Job Description. The post-holder will be expected to implement and work within the University s Policies, Procedures and Guidelines. Job Description. Triage, resolve or escalate support calls within agreed timescales using IT Service Management principles and logging systems. JOB DESCRIPTION. 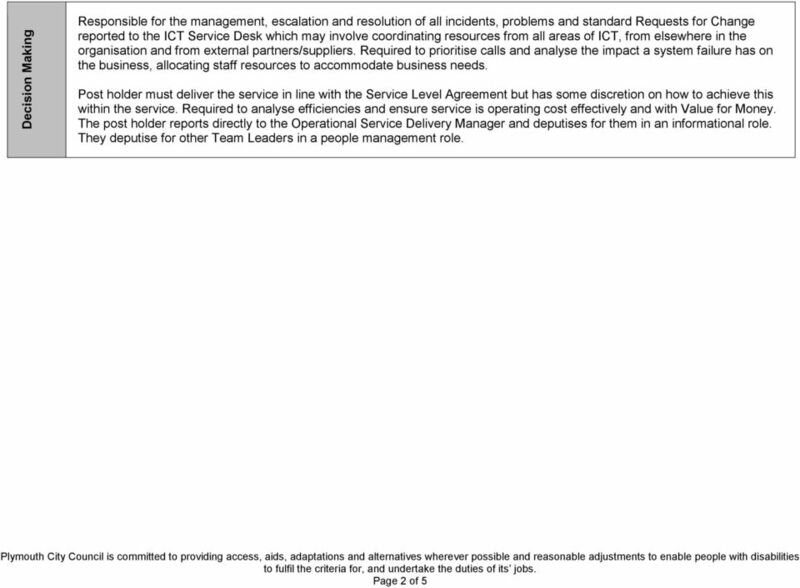 To provide a high level of customer care to all business users who raise faults or service requests via the Service Desk. 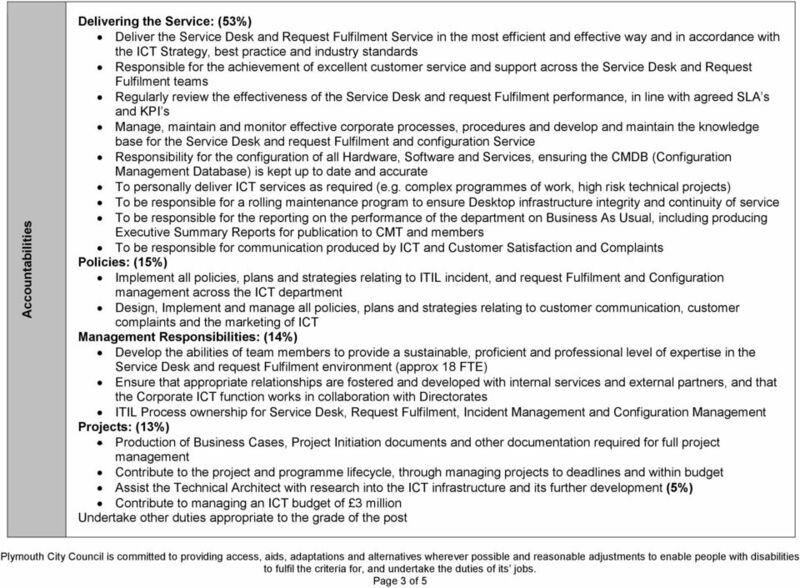 Job Title: Service Desk Analyst JOB DESCRIPTION Job Holder: Date: Overview of role To provide a high level of customer care to all business users who raise faults or service requests via the Service Desk. 2. Monitor status of service requests and liaise with team members to ensure service desk issues are resolved. 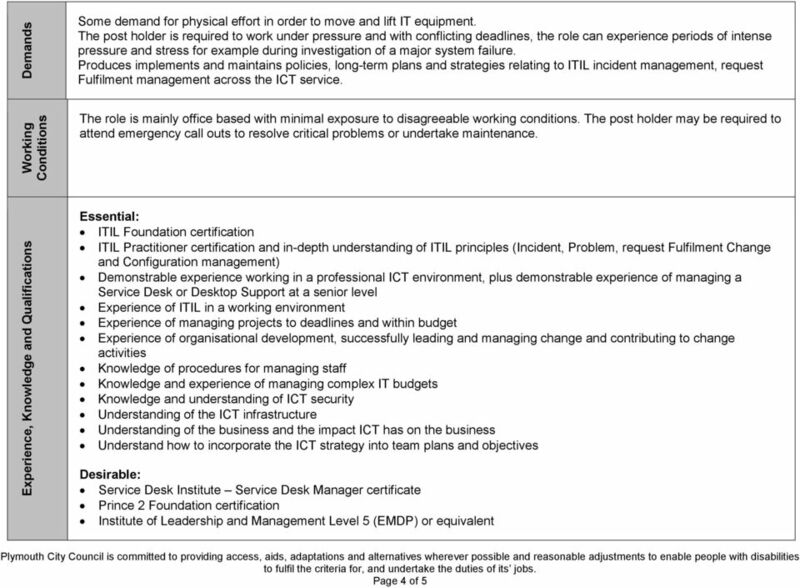 POSITION PROFILE Support Officer, ICT. Position Summary. Position Statement. Corporate Vision. Constructive Culture ICT.